'Next!' How Do You Reduce Audition Anxiety? : Deceptive Cadence Relax — we've got ways help your child play confidently for strangers when something's at stake. 'Next!' How Do You Reduce Audition Anxiety? The difference between being first sax and fourth is nailing the audition — and you can give your child the advantage of careful preparation. All this week, we've been exploring the ways families help kids learn to play music. Along the way, we've gleaned lots of great tips on everything from choosing an instrument to tantrum-free practice from our readers, as well as young musicians who have appeared on From the Top and their parents. We're capping off the week with questions about a process that can inspire fear and dread in even the most capable, calm and collected adults: auditioning. What do families need to know about this rather shrouded ritual? How can you encourage your child to make the best of such a potentially stressful situation? And what is it exactly that judges are listening for, anyway? "Judges and teachers are often looking for player with the most developed, solid technique as well as musicality and artistry," says 16-year-old pianist and From the Top alumna Hilda Huang. "Often, judges fall slack on the latter two, because the only thing they can really judge objectively — or the closest thing they get to objectivity — is technique. Therefore, it's important to have a piece that can prove that the musician is capable of a high level of technique. Other pieces can demonstrate the many facets of the musician's artistry." Encourage your child to plan, plan, plan. He or she should begin by going over repertoire choices with his or her private teacher. It's good to focus on pieces that are squarely within the child's comfort zone, and a teacher can help advise about particular requirements. If the audition involves learning new material, help your child map out a schedule well in advance of the big day. Cramming at the last minute isn't a great idea at school, and it's no better in music. Percussionist Molly Yeh, who appeared on From the Top in 2007, says that the big secret is "mock auditions, mock auditions, mock auditions. Practice auditioning in front of as many different people as possible. Wear the outfit you plan to wear, play the music in the order you plan to play it and be brutally honest with yourself about how you played. Record yourself during these mock sessions — and then go back, listen and take notes on what you can improve." Judges often start auditions with a few questions, from wanting to hear a bit of background to asking about the child's future plans and goals in music. Rehearse a few likely questions beforehand so your child isn't taken aback. Your child might also want to experiment in advance with various relaxation techniques, from breathing exercises to yoga poses. When that adrenaline fires up, it's great to have mindful relaxation rituals to fall back on. Which ones actually work totally depends on the individual, so it's best to experiment first. You may want to encourage your child to dress cleanly and neatly, thus showing respect for the judges' time and effort. Avoid being too fancy, though. Chances are your child won't feel 100% relaxed and physically comfortable in dress-up clothes. And be sure to allow plenty of time to combat traffic, find parking and locate somewhere to relax, warm up and shake off any lingering nerves. Auditioning is hard enough without arriving breathless and disoriented. 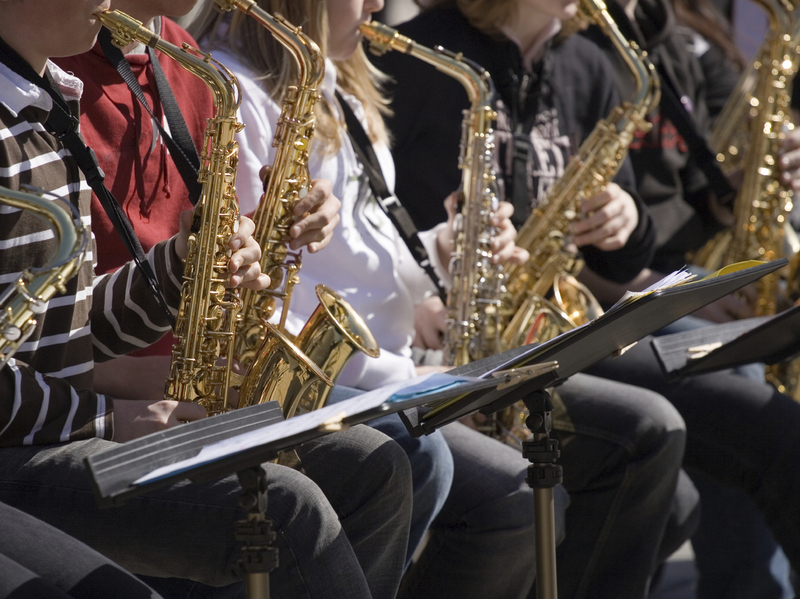 In an audition, there might be anywhere from one to more than a dozen people listening to your kid play. Encourage your child to walk into the audition room with confidence and positive energy — and before she takes that walk, tell her that you love her and that she's done a great job getting ready. Huang adds that local competitions and auditions often mean that your child will be up against people he knows. "You're there because you want to play your best, not because you want to deal a knockout to the rest of the competitors," she says. "Chances are, many of the other competitors will be your friends. You don't want to punch your friends, right?" When the time arrives, Yeh says, put on blinders and just focus: "Don't listen to other people play — you'll either give yourself a break because you thought they didn't sound good, or you'll get more nervous because you thought they sounded good. Just play exactly how you prepared." And if it doesn't go the way your child wanted? Yeh says, "Just know that every single successful musician on the face of the planet has experienced disappointment." Got more great tips for dealing with audition anxiety? Let us know in the comments section.